Pamela Skinner / Gwenna Howard Contemporary Art Gallery is an art gallery located in Sacramento, CA. This picture was sent in by GC. 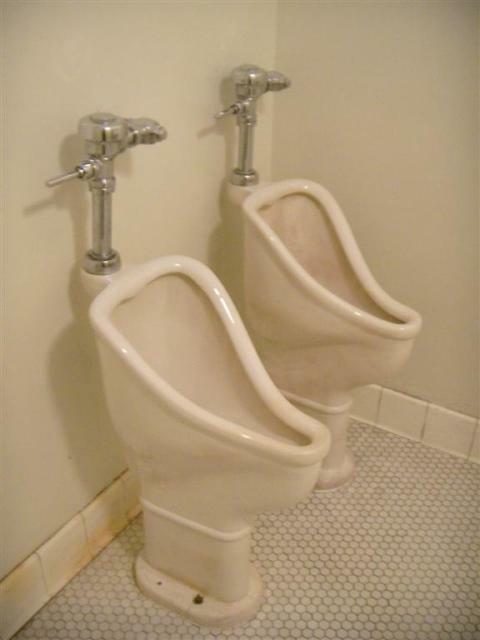 He writes: "I was researching urinals for my bathroom remodel and came upon your website. I love it. Here is my submission for urinals I found at the Pamela Skinner / Gwenna Howard Contemporary Art Gallery... The gallery is in an old PG&E shop building."